The Happiest Person in the World!!! Location: The endless world of pain and suffering. As in suggestive themes (eh) and gore (kind of?). I'm just being safe. It'd be rated about PG-13 if it were a movie. I think. 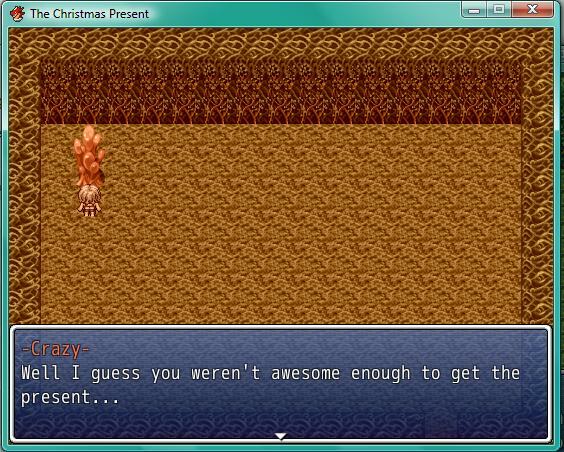 Summary: Try to obtain a Christmas present! Features: It's super short (which is unusual for me, I never do this even with practice games)! Plus multiple endings, I love them so I will most likely always have them. Average Game Time: Five minutes or under. Seriously. 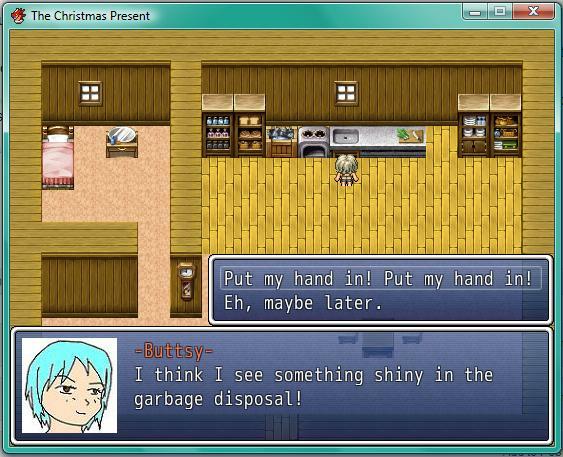 Credits: Just RTP and me~ Inspiration came from a friend tho because I wanted to make her a Christmas present with RPGM. Story: How I come up with such strange ideas, I don't know. Being a half nudist is a tough life to lead, which makes it hard for the heroine to make friends. And everybody knows that when someone doesn't have friends.... they don't get Christmas presents.... Follow the very first of many adventures to come as you try to get a Christmas present without getting caught up in unfortunate events! Character Bios: Time to find out what kind of issues they all have! Tho there's not that many people this time. 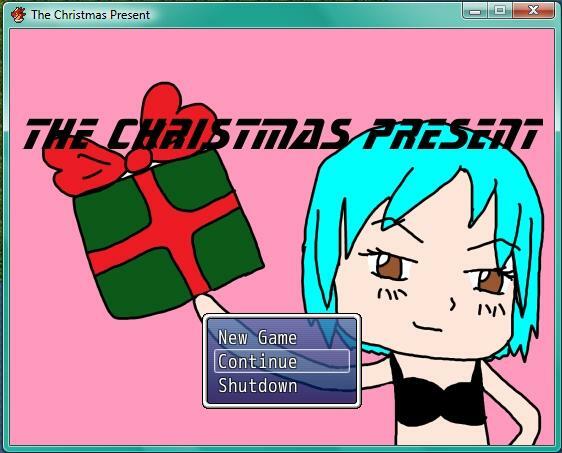 PC: The heroine of the game! Being a half nudist has left her lonely in life, with no friends and only her Grandma she doesn't get any Christmas presents.... It also doesn't help that she has a hard time changing her facial expressions properly. Crazy: A voice in the PC's head, therefore does not have a photo image. It can be very nice yet pushy at the same time. Is not believed to be a figment of the PC's imagination. Can cause explosions. I did not misspell anything. 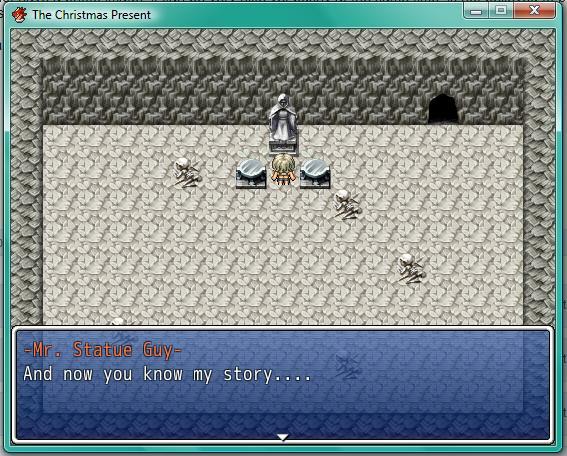 Not only does the PC talk to voices in her head, she talks to statues as well! WEEEE! I wonder how many people will make this mistake? I'm not telling what it is. Oh hey! It's one of the 7 possible endings! How did you get in here? 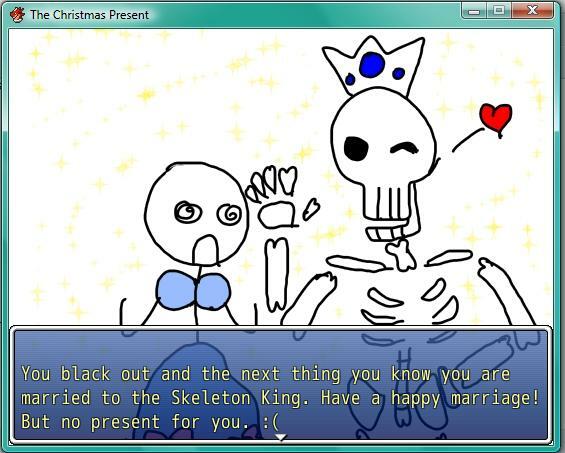 Don't worry, this game has nothing to do with dating and this end does not correspond with the previously stated mistake. That has a different end. Known Issues: None. I play tested it about 50 times because I had to keep fixing the pictures so I should know of any. If I stupidly missed something please tell me tho! You have to download the RTP for VX Ace separately from here for people who don't have it. 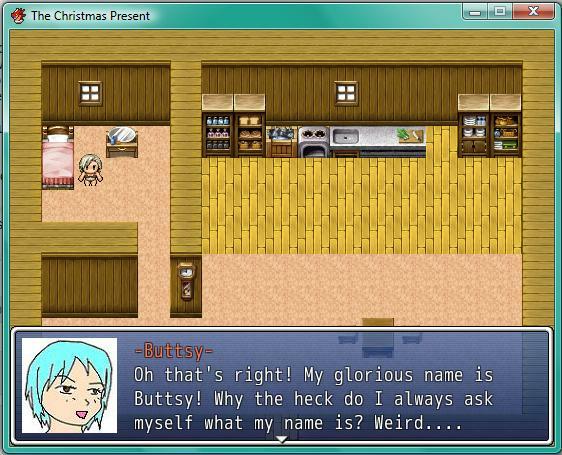 This is the first (and so far the only) RPG I've played in here. I really should look around and try more of these. Dear Lord, it was freaking hilarious. I had the time of my life with this game. XD It was so short, but the humour was genuine and the dialogues were all interesting. I hope you'll make more games like this one in the future.